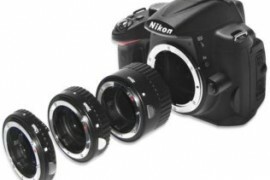 Every couple of months new bags for cameras come into the market from various manufacturers. With so much stuff on the shelves and so much to choose from, comes along confusion and that’s where I get to your service. I have a habit of getting my hands on all kind of photography gear as soon as it arrives. Usually I keep you all updated about most of the stuff I review, but writing full page reviews amidst of my busy schedule is not a very convenient process. This is why to keep everything covered I bring to you these mash ups where I will try to give you a comparison and most important bits of information that you might need to make an intelligent purchase. That being said here is my list of Top 5 Best Camera (DSLR) Backpacks under $200 for the last trimester of the year 2014. 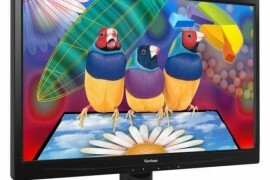 $101.99 Approx Get Latest Price! With an attractive price tag and some really cool features the case logic slrc-206 was an easy place holder in my list for best camera backpacks 2014 under $200. Lets take a look what this bag has to offer. You will also find the Patent pending hammock system which suspends your SLR above the bottom of case, providing a superior impact protection. Waterproof EVA based elements safeguard your gear against rain. There is this Memory foam inside the backpack lid which helps to protect your delicate LCD screen. Its sleek Dimensions make the case logic certainly very portable. Overall I found this bag quite beautiful to look at so yeah +1 for that as well. The fourth place goes to ape case pro. 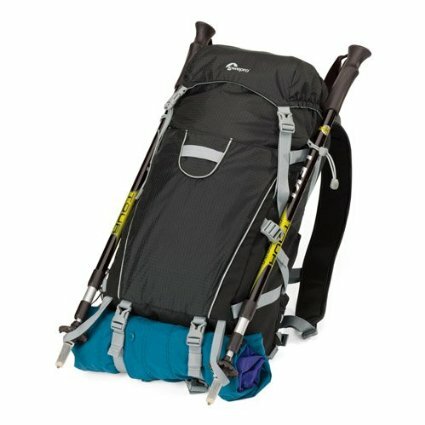 The ability to fit a large size laptop and the straps to tuck monopods under the hood makes it a very desirable choice for hikers. You can take a look at its qualities and decide for yourself. 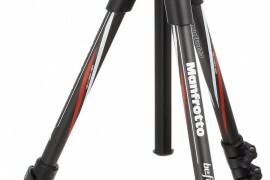 Two regular full size tripod can be stuck on this bag. Both the cleverly designed zippers and an all weather cover makes it completely water resistant. Shoulder harness system is there for added comfort. 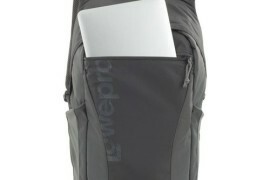 Overall this backpack is pretty sleek for all the space it offers you. Ultra-Cinch Camera Chamber protects your gear in a padded and secure compartment which helps to prevent the bouncing as you move on an uneven terrain. Zippered side pocket allows quick access to your gear. 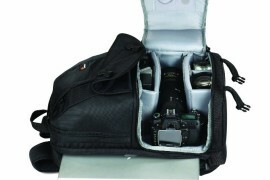 You can just rotate and bring the bag in front of you, unzip, un-cinch and access camera compartment under 10 seconds. You can’t go wrong with this bag as the top compartment provides up to 13.9 liters of personal space for items like a jacket, lunch, and other accessories. It also has dedicated pockets for cell phone and a hydration rubber pouch. 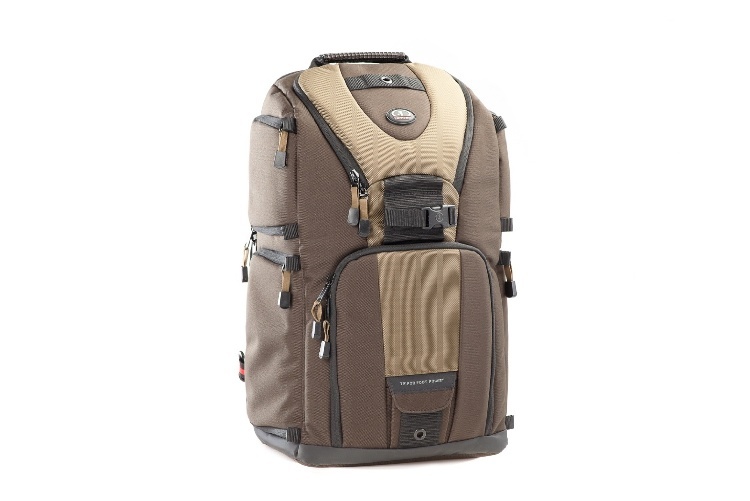 Moving on the upper side of our budget we have this amazing Tamrac evolution 8 beauty to grab. 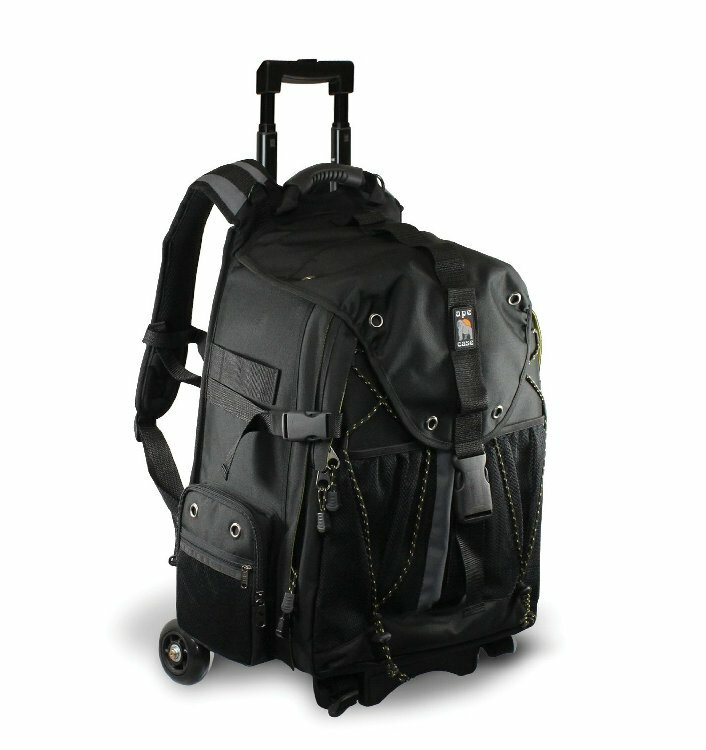 This bag is extremely versatile and is a tank because of its ultra sturdy built. Have a look at it’s incredible features to assure yourself before buying. Evolution 8 Photo / Laptop Sling Backpack can be worn in three different styles or ways: first as a regular backpack and as a sling pack on your right shoulder or left shoulders. Evolution 8 is perfect for a full frame or large format DSLR with attached lens and several additional lenses, a flash and some other accessories. When using it as a backpack, two padded shoulder straps, belt and chest strap distribute the overall weight for a comfortable carrying experience. 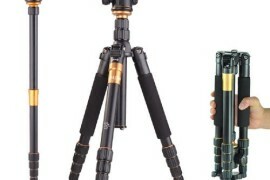 Evolution 8 features QuickClip tripod attachment system with one foot pocket, that allows a compact tripod to be carried easily. 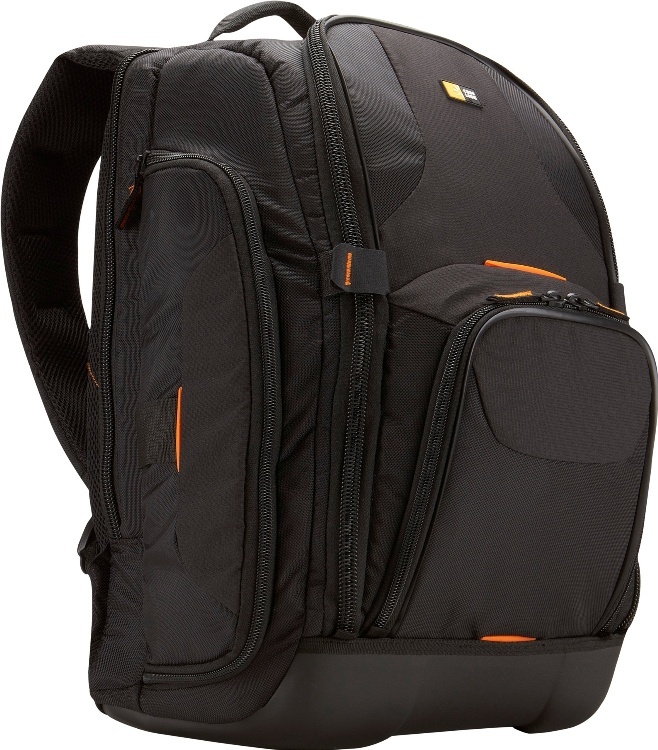 Finally we have our winner, the Ape Case Pro Convertible Backpack. 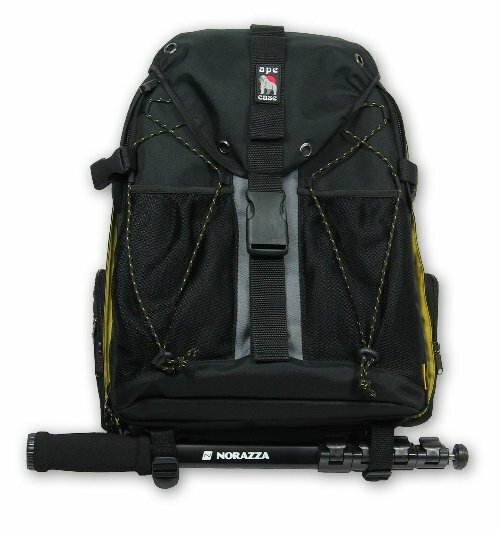 If you are out in the market to buy yourself a large sized camera bag to fit tons of gear then look no further. For a very respectable price the Ape Case does it all. This Convertible camera rolling backpack can handle two full frame digital SLR cameras, a bunch of lenses and other accessories without sweating. The cart system is removable and allows switching to a more traditional use quite seamlessly. The fully adjustable padded harness system is in place to ensures that you receive maximum comfort. Rollerblade Wide-stance wheels are there for an ultra smooth ride. Signature Hi-Vis (TM) yellow designing on the interior (If you care for that kind of stuff). Includes an all weather cover for complete protection. Although I have tried my best to cover the most recent and popular ones still it’s not impossible for me to miss some really good ones that could have been on the list. Make sure to let us all know in the comments below, just in case you come across something that was worth being a part of my “Top 5 Best Camera (DSLR) Backpacks under $200” review.